Dry eye is a common condition that at first glance may seem fairly self-explanatory. 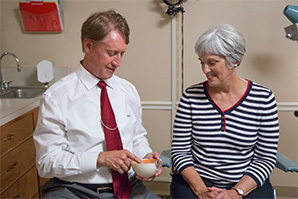 But even though the symptoms experienced by patients are fairly similar, there are multiple forms of dry eye that require customized treatment. One of the most common reasons that patients see an eye doctor is for ocular surface disease (dry eye). 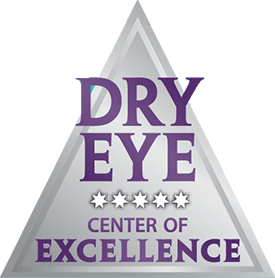 In the Louisville, KY and Southern Indiana area, we have one of the only national recognized Dry Eye Centers fully equipped with a full range of diagnostic tools. Dry eye syndrome generally occurs when there are problems with the glands that produce tears. It’s important to know that the tears that lubricate our eyes aren’t just saltwater. There are 3 distinct layers: an oily layer, a watery layer, and a layer that’s primarily mucus. A problem with any of these layers can result in dry eye. The oily layer of tears is produced by glands in the eyelids. This oily substance helps tears coat the eyes and remain longer on the eyes. Inflamed and clogged glands thin the oily layer, causing the tears to evaporate faster than normal. That means that even when the eyes produce sufficient tears, they don’t last long enough to prevent the irritation, redness, and discomfort that accompany dry eye. Our eye doctors treat evaporative dry eye using LipiFlow®, a device cleared by the FDA that unblocks the clogged glands using heat and gentle pressure. This enables the glands to again produce a thicker oily layer for a healthy tear film. The treatment takes only 15 minutes and doesn’t affect your vision, so you can drive yourself home after the appointment. The name of this form of dry eye suggests its cause—your eyes don’t produce enough tears to keep the eyes lubricated. Our eyes typically produce tears every time we blink, constantly re-coating and lubricating the cornea. Without these tears, the eyes dry out and become extremely uncomfortable and inflamed. 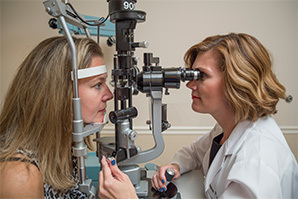 Our eye doctors create treatment plans that are customized for each patient’s specific condition. In some cases, patients come to us after using over-the-counter artificial tears because their eyes remain irritated. Artificial tears may temporarily relieve symptoms but don’t do anything to reduce inflammation. Your doctor may prescribe eye drops such as RESTASIS® to control the corneal inflammation and moisturize the eyes. Along with those eye drops, prescription antibiotics and steroids can be used to reduce bacteria and soothe the inflammation. 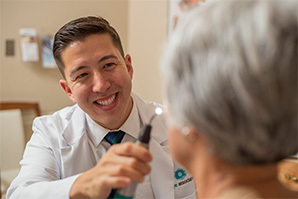 Even though these are the 2 most common types of dry eye syndrome, other forms exist and only specialists such as the eye doctors at Dr. Black’s Eye Associates can correctly diagnose and treat the specific dry eye condition that you may be experiencing. If you think you may be suffering from dry eye, you can take our short Dry Eye Quiz, which identifies common symptoms associated with dry eye syndrome. 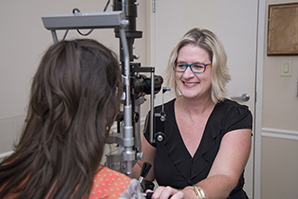 You can also call us at (888) 393-2273 to schedule an appointment at one of several locations we have that provides access to quality vision care throughout the Kentuckiana region.